In case you missed it, I recently started a Facebook Live TV show on my Moms ‘N Charge page. 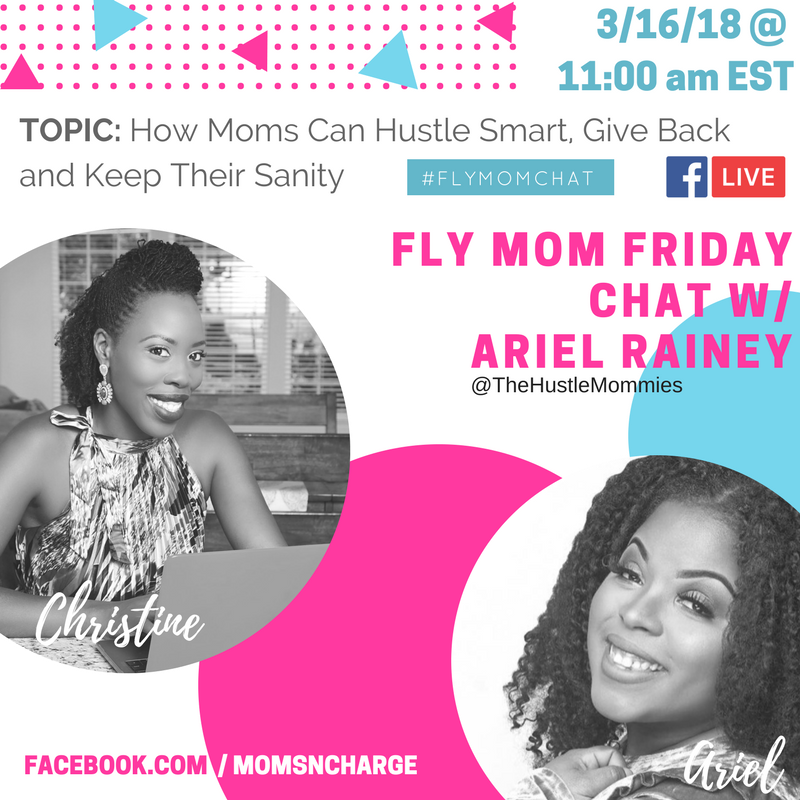 So I hope you’ll check it out and join me for a FLY Mom Chat every Friday at 1 pm EST. This is something I’ve been wanting to do since Facebook Live was launched. I’ve never been big on video, but once livestream started with Periscope, I’ve really enjoyed it. 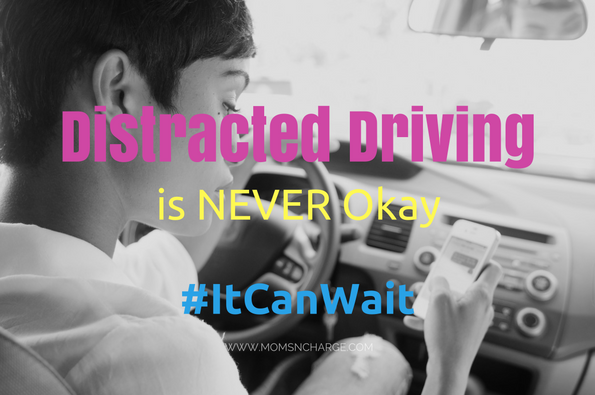 A few years back, I started a series on here called Real Moms, Real Talk. The series was started because I wanted to create a platform to not only have real conversations with everyday moms but to highlight amazing moms around the world. While I loved having these conversations, the time it took to record, transcribe, edit and post them began to be too much. 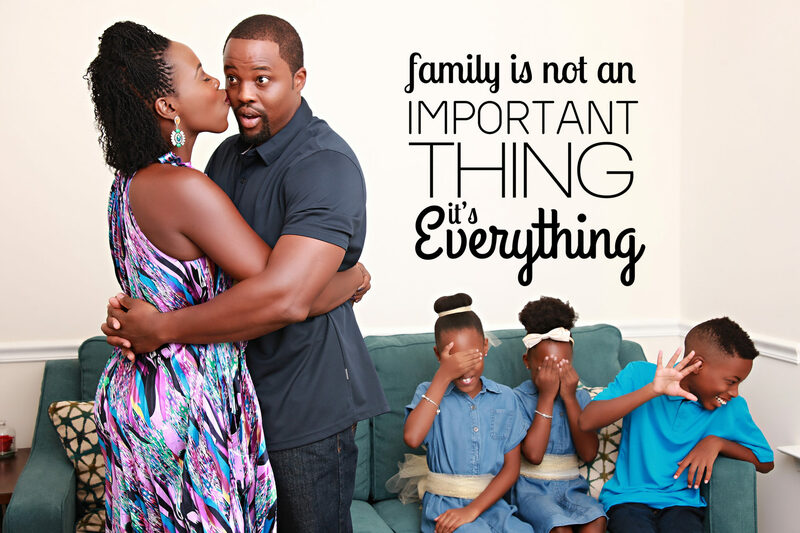 When I first started Moms ‘N Charge it was to empower moms to feel good without feeling guilty. 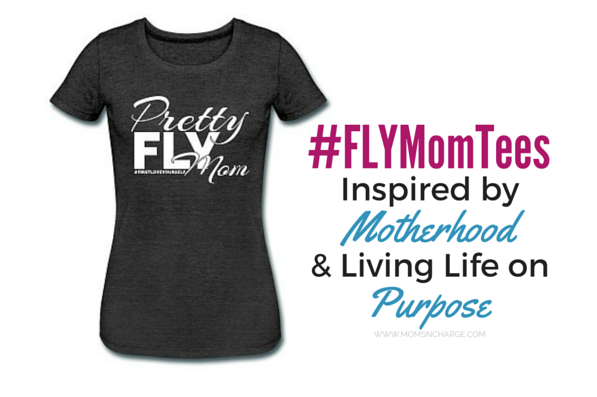 It was to create a platform to empower moms to go after their goals and dreams. But I also wanted moms to understand the importance of learning how to FLY (First Love Yourself). So with these weekly chats, I want moms to get tips they can use and implement for both their personal and professional lives. 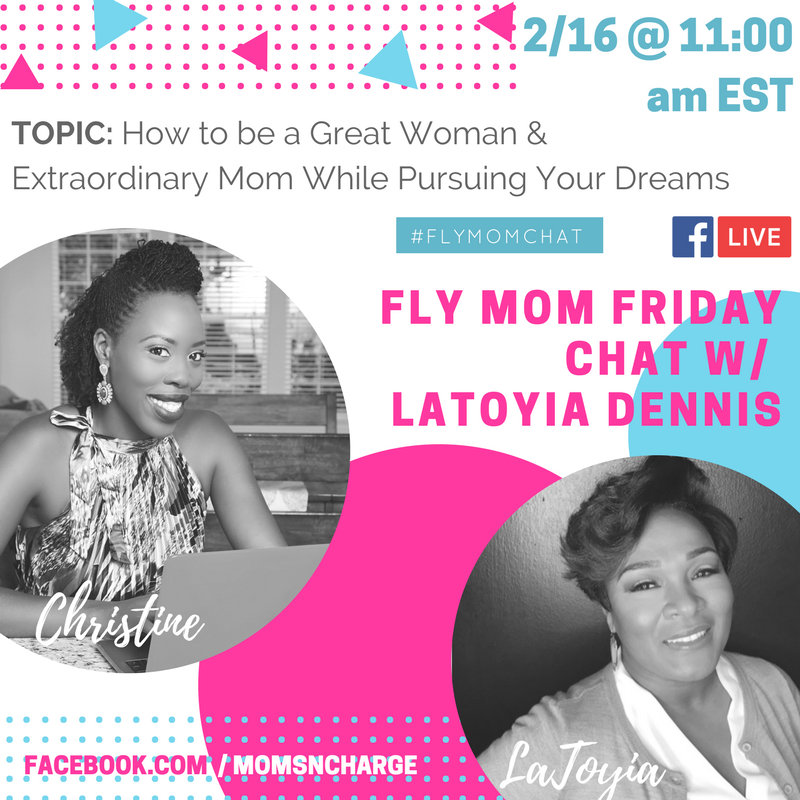 Below are the links and profiles for the amazing women I’ve had on the FLY Mom Chat show so far. Check them out and let me know what you think. 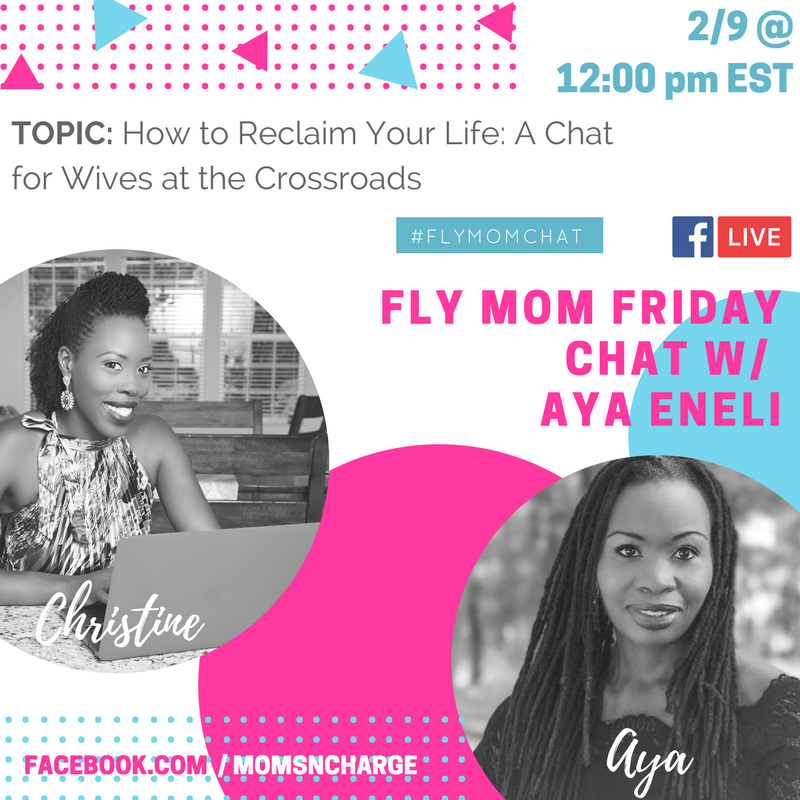 Aya kicked off our #FLYMomChat with fire. 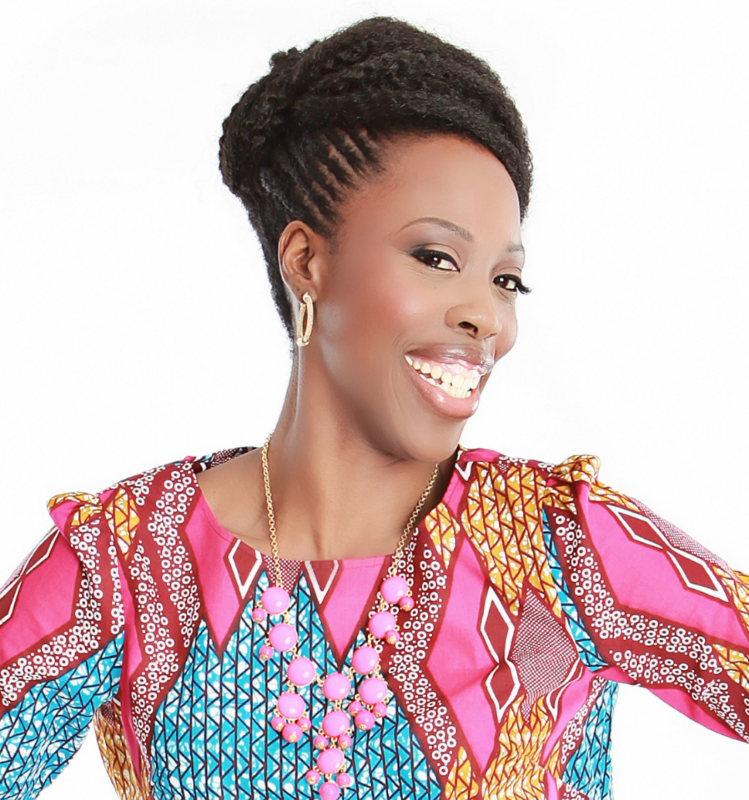 She is a sought-after life coach, speaker and all around BOSS lady. Her newest book, Reclaim Your Life: Guidance for Wives at the Crossroads is out. We had a great chat about how we as moms can reclaim our life, especially as a wife in the crossroads. Catch the replay here. 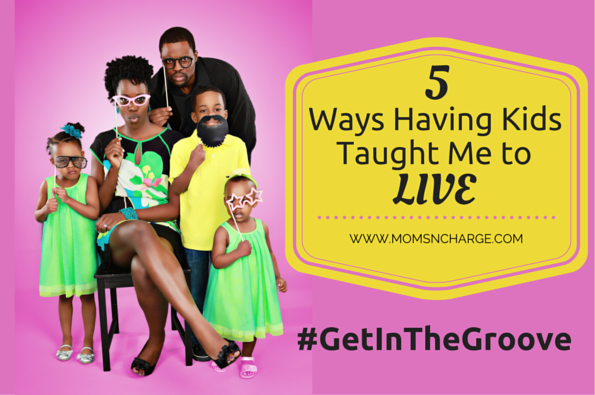 We chatted about being an extraordinary mom while still pursuing your dreams. In addition to running her blog over on The Motivated Mom, she also runs a successful non-profit, called A Chance to Learn. And LaToyia is a Fundraising Fairy. So if you have a non-profit and are trying to make it sustainable, you definitely want to tune in. Catch the replay here. I may be a little bias since Julian is my sister and partner in purpose. BUT, I am not exaggerating when I say she is a beast at what she does for her clients. If you have a book you’ve been birthing for eternity, she will help you bring it to life. 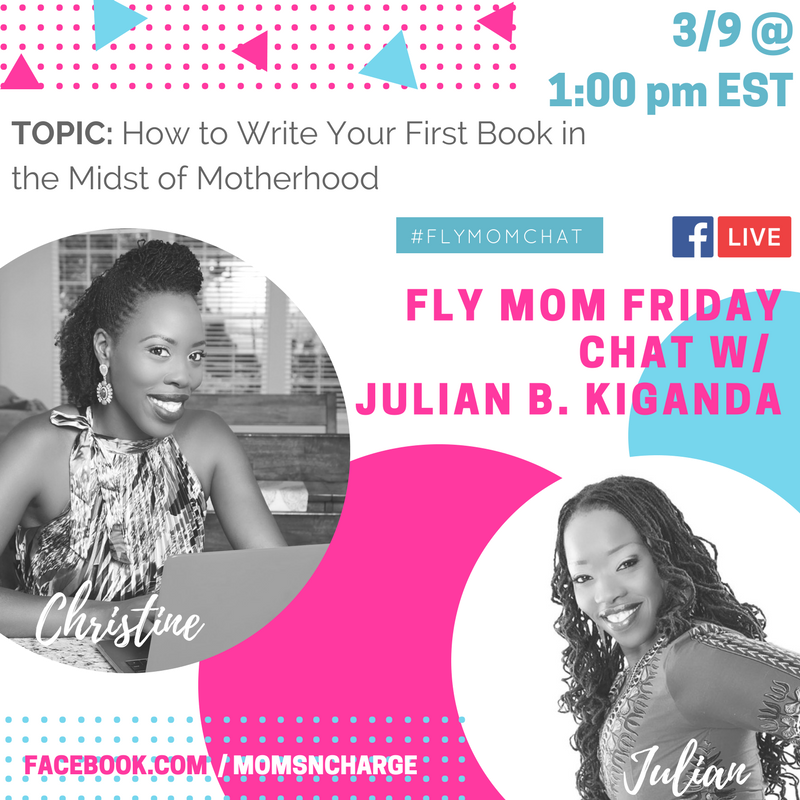 We chatted about how to write your first book in the midst of motherhood and other duties. We know because we did it. The devil tried to keep us from sharing this info, but we made it through. Technology was a challenge but you can catch the replay here. You can check out the chat here. 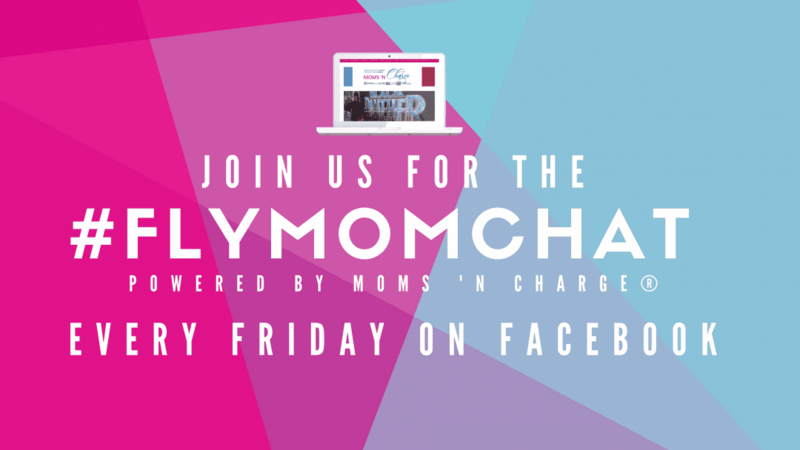 If you’re a fellow mompreneur and would love to be featured on a #FLYMomChat Friday show, please inbox my Facebook page and let me know! Hope to see you on the show!